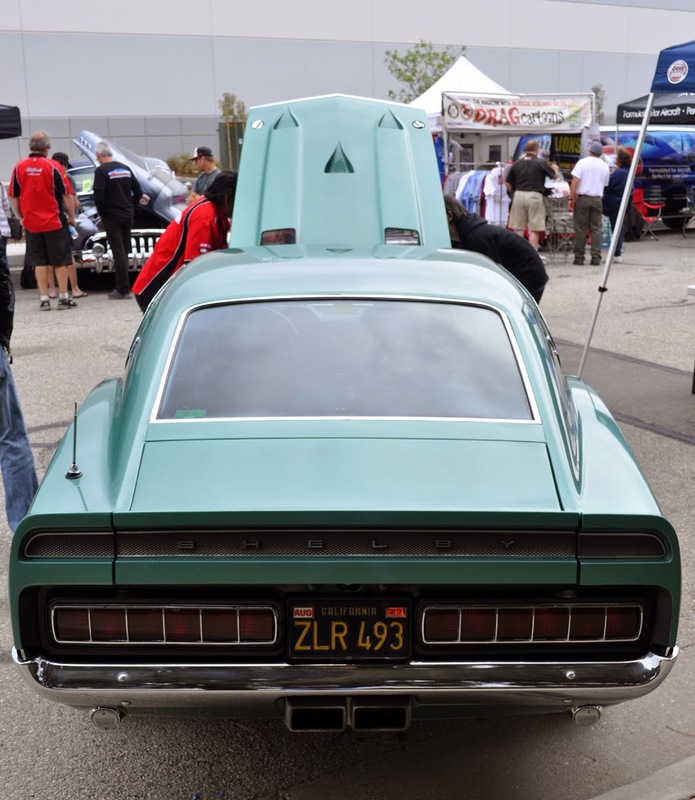 Last year, the California DMV announced that legislation introduced the California Legacy License Plate program offering vehicle owners the opportunity to purchase replicas of California license plates similar to those issued in the 1950s, 1960s, and 1970s. This was great news, however, there was a slight catch, in order for the program to be implemented, at least one of the three styles must receive 7,500 orders before January 1, 2015. Only the plate or plates that reach 7,500 orders before January 1, 2015 will be implemented. As it stands today, only the black plate (1960s) will be released and the other two plate types will not meet the minimum order quantity unless folks start buying them. That means you!! More information here on the CA DMV website. Come on guys, get your order in now for blue or yellow plates! The order needs to hit 7,500 before Jan 1, 2015 to make the plates. 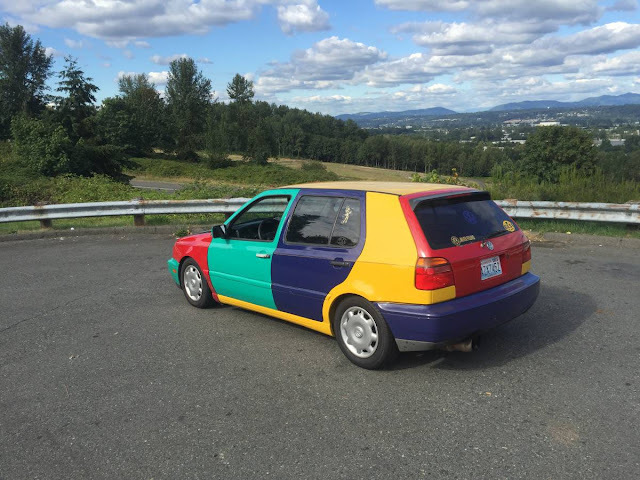 They don't need to go on your classic, you could put yellow plates on a new BMW, or classic blue plates on your Mazda minivan. They make great Christmas presents and can be ordered in sequential or customized. If the orders don't reach the minimum, you won't be charged and you can continue running whatever is on your ride. 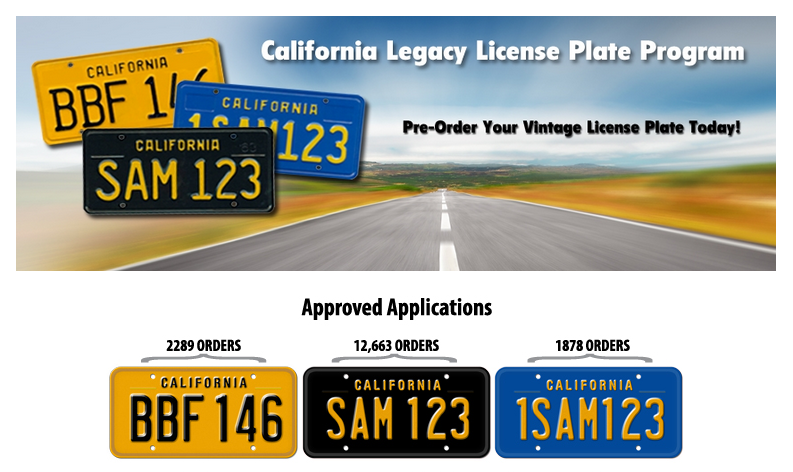 Pro tip: Order a CA black plate and get it customized -- but pick something that could have been issued for the model year of your classic, like WIN 747 and everybody will think it is an original issue black plate (or yellow or blue). Looks like our three orders won't get us near the threshold. Plates will be reflective and the design will not be the same as the original plate. I suppose one could paint over the reflective paint, but it's illegal to modify your plates. Here is the latest I've learned from the CA DMV. Plates will start to be issued late Spring/thru the Summer. That is interesting. I never know that there has a legacy license for the driving in the California DMV. SO it is high time to go there and ask for the license as I am one of the finest drivers they could face ever.